Crystal Candy Makeup Blog - Review and Swatches: January Favorites 2017! 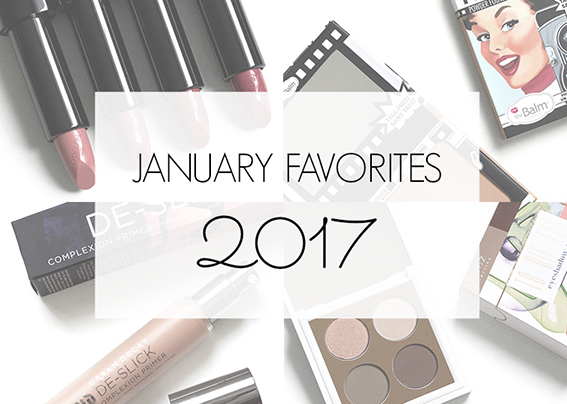 January is nearly over, it's time to reveal my favorites of the month! As usual, you can click on each product name to read the full review (and see the swatches!). This liquid highlighter is beyond gorgeous, the glow it gives my skin is unreal! It's a translucent pearly white shade, so it would look good on super fair skin tones as well! The formula is easy to apply (I like to blend it with my fingertips) and last all day. 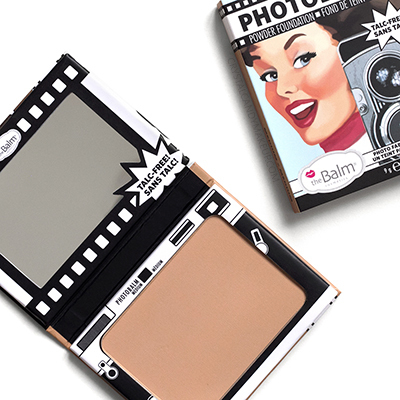 This talc-free powder foundation provide light coverage, but you can build it up to medium. It doesn't settle into my smile lines and it keeps my skin shine free for about 5 hours! I've never tested a powder foundation with such great mattifying properties! 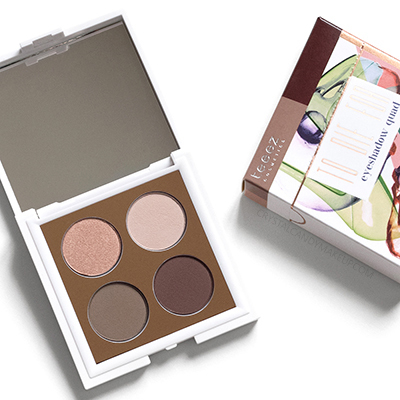 This eyeshadow palette features 3 matte shades (light beige, medium brown and deep chocolate brown) and a shimmery golden peach. 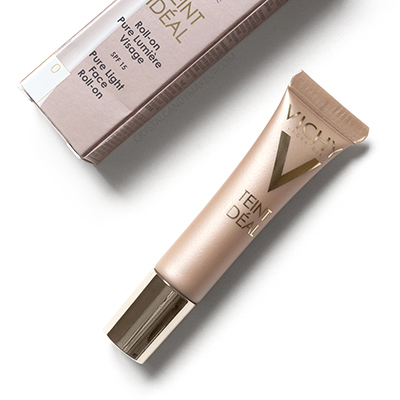 The formula blends seamlessly and I love the velvety finish! The staying power is top notch too! 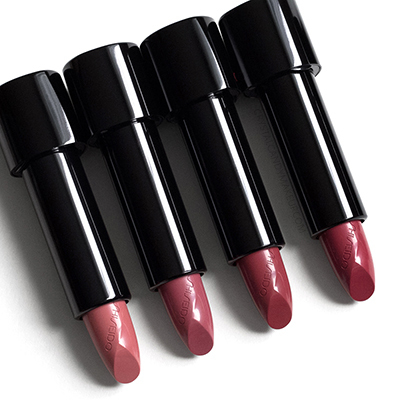 Enriched with an Hyaluronic Acid Complex, the Rouge Rouge lipsticks glide on easily and have a nice creamy consistency. 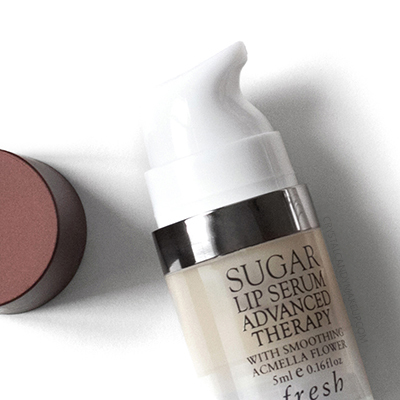 The formula is fabulous, it feels smooth and hydrating on the lips! These lipsticks have great color payoff as well. Formulated with Acmella Flower Extract and Kigelia Africana Fruit Extract, this lip serum help reduce the appearance of deep wrinkles and improve the appearance of elasticity. I like to use it as a smoothing and hydrating primer, it sinks super fast and hydrate my lips without leaving a residue on the skin! This oil-free primer is specifically formulated to control oil and minimize pores, and it really works! My skin is matte for more than 4 hours! 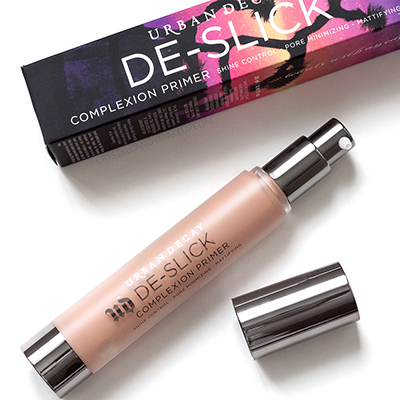 The De-Slick primer has a thick gel-like consistency, but it's easy to blend even if it dries quickly.